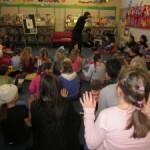 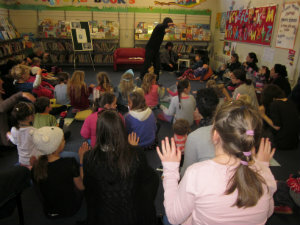 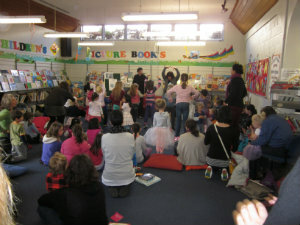 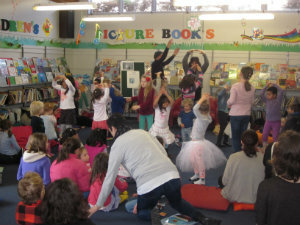 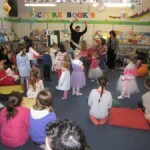 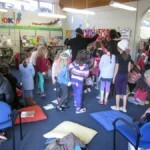 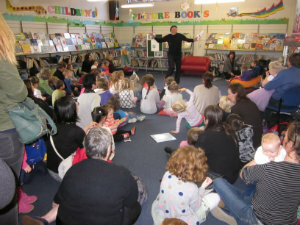 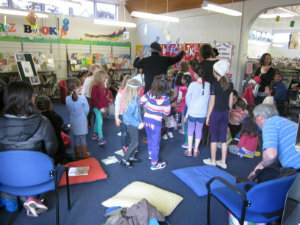 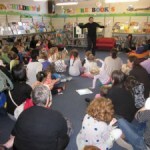 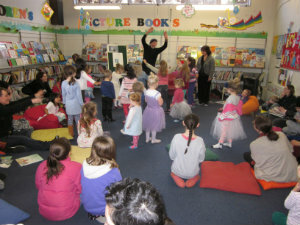 During the school holidays Johnsonville Library was very lucky to host Sir Jon Trimmer from the Royal New Zealand Ballet. 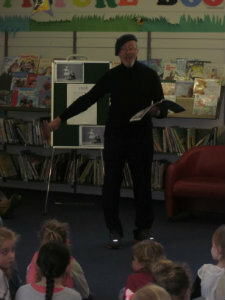 Sir Jon performed a wonderful rendition of Peter and the Wolf to a very large crowd of enthusiastic and budding dancers. 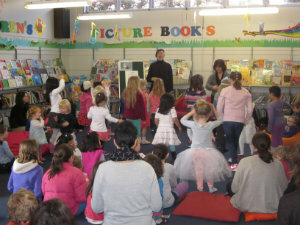 We then learnt and practiced some ballet positions followed by the change to ask Sir Jon questions about his own career and that of the Royal New Zealand Ballet. 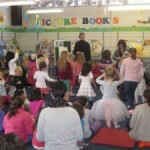 We learnt that ballet or pointe shoes will only last a dancer for one performance and they have a huge room that is full of ballet shoes from the floor to the ceiling because they go through so many. 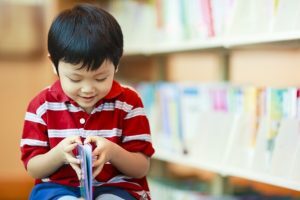 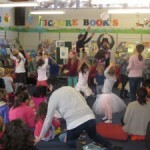 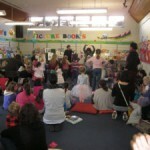 Don’t miss out on the next Ballet Storytimes in August. 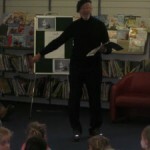 Here are some pictures from the performance.